Mauricio Pochettino is the new Tottenham manager. Luke Shaw is Patrice Evra’s £28m replacement at Manchester United. Rickie Lambert, Adam Lallana and Dejan Lovren are hoping to spearhead the post-Suarez era at Liverpool. And even young Callum Chambers has moved on, looking to make a name for himself at Arsenal. The summer has been worse than what even some of the most pessimistic Southampton fans would have dared to predict only a few short months ago. Southampton might have been one of the fairy tale stories of last season, but a lot has changed at St. Mary’s over the summer. Star players have departed for pastures new, as has their former manager, and with the season almost upon us, the Saints are going to face an uphill challenge to stay in the Premier League. With question marks over the long-term commitment of their owners, Southampton enter the new season with a monumental challenge. Can it all come together to give them time to stabilise and rebuild though? Ronald Koeman is a legend of the game, but to date that’s much more a result of what he did on the pitch rather than his work in the dugout. 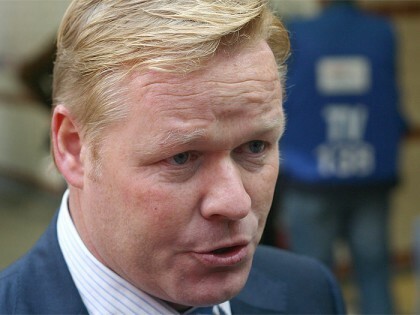 After finishing up a legendary playing career that saw him star for Ajax, PSV and Barcelona, Koeman turned to coaching. In his 14 years as a manager, Koeman has managed five of the most prestigious clubs in his native Netherlands (Vitesse, Ajax, PSV, AZ Alkmaar, Feyenoord), as well as Iberian heavyweights like Benfica and Valencia. So far this all sounds very encouraging for Saints fans, and there’s more good news. Koeman has won eight trophies throughout his career too, making him a manager with pedigree, right? Well there’s just one problem, Koeman doesn’t tend to stay (or perhaps, more accurately last) at any one club for very long. At five of his seven clubs, Koeman has moved on in less than two years. Not to try and dampen things even further, but to return to his trophy haul, three of those successes came via Super Cup style wins, and for only one of the three was Koeman actually the manager to win the trophy to get his team into the showcase game. In short, the jury is still out on Koeman’s abilities as a manager. In moving to the Premier League, he is preparing himself for by far the biggest test of his coaching career to date, and with a squad now devoid of a core of proven Premier League talent, he’ll have his work cut out. With the departure of Adam Lallana, Southampton need a new creative force to front their attack. If the Saints are to succeed in still offering an offensive threat, the reality is that much of the team’s creative burden is going to land on the shoulders of one of their new signings. 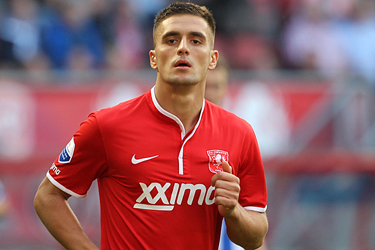 Dusan Tadic is a highly vaunted 25-year-old Serbian who excelled in the Dutch Eredivisie since his move to FC Twente back in 2012. Tadic scored 16 league goals last season, and it came as no surprise to see that he caught the eye of Koeman. Tadic’s direct running style, and tricky dribbling will provide Saints fans with hope that this season won’t be a lost cause, but as with the rest of Southampton’s signings it will all depend on how quickly they adjust and bed in to life in the Premier League. It feels like there’s going to be a long tough season ahead for Southampton, as there’s just too much that has to click for them to have a successful year. They have a manager who needs to find his feet in a new league, a squad that has to learn how to play together, and a fanbase still reeling from a summer of selling. It’ll be very congested at the bottom of the table, so the margins will be fine, but unfortunately, this could be the end of the Saints’ Premier League adventure. It’s not that they’re that bad, I just feel it could take them a long time to mesh together, if at all, and by then they’ll just have too much left to do. I predicted through every league game and at the end of the season, I had the gap between 20th and 13th as only six points. It’s not that they’re going to be historically bad, just in a tight race, I expect them to start really slow and leave themselves too much to do to get back into it.